Google has rolled out their latest update for Android devices; the might Android 5.0 Lollipop. 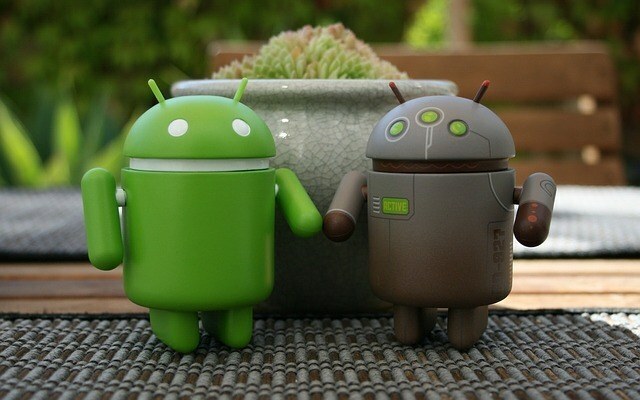 Google calls it the sweetest release from Android; and there are many reasons to state so. First off, the visual upgrades in the Android Lollipop will make you go ‘Wow!’ and then you get to know the features down to every bit. However, the initial release had some bugs like it is expected; and Google is continuously trying their best to implement a bug free Android Lollipop iteration pretty soon. Android 5.0.1 is out already; there are more on the way. Here, we discussed about few impressive new features on the Android 5.0 Lollipop. Android Lollipop provides a feature where you can just pick up your undone job on any Android device of yours. Say, you have left a job uncompleted on an Android device running Android Lollipop and didn’t get time to save that. When you pick up another device running the same Android version; you can just pick up your work from that device. The feature is similar to iOS8’s Continuity feature implemented on Android Lollipop. Android Lollipop is a versatile version of Android because the running ability is not only limited to smartphones and tablets. Instead; it can now run on wearable like the smartwatches; on smart TVs and even cars. Of course you need to perform several tweaks on the programming edge to make it run on your desired device; but it can at least. Google developed it with the required flexibility. This time, Android Lollipop comes with a whole new design and graphical aspect on Android. Like the iOS7 introduced a whole new arrangement of visuals and operation, Android Lollipop has followed the same path. You can just shrink or expand dynamic elements on screen; there are more usage of white on the display, every transition has got 3D touch in them and there are many more to name. Google has released their new SDK as well to create apps for the Material Design UI. The stock camera interface on the Android Lollipop is basically the Google Camera you can find on the Play Store. Even though it’s basically the same software, still the camera on Android Lollipop can make better usage of the hardware available. The video capture comes like a professional quality video shooter in 30 fps, supports 4K videos and the still photos shot are as crystal clear as most other flagship devices’ camera software out there. For devices with advanced cameras; Lollipop adds more flexibility to avail the most of those features. Battery life is a crucial issue for most smartphones out there. Android Lollipop has taken a better attempt to increase your phone’s battery life by a bit. If you are reaching past the last bar on your smartphone, Lollipop would activate the power saving mode for you if it is activated. This could buy an additional 90 minutes of battery life; assuming that you will get to a power outlet by this time. Also, now the battery graph shows estimation about how long the battery is going to last so you can mentally prepare yourself and restrict the usage as well. Android Lollipop is an Android version more secured than ever. Now it allows creating multiple user accounts; the individual user files are password protected. Android Smart Lock lets you pair the device to a wearable like your smartwatch or maybe even your car so that it doesn’t work if it’s stolen. There are more protections against malwares as well. There has been a change in the pull-down notification drawer. There’s only one notification bar instead of two in the tablet devices. You can change your device’s mode to priority or normal to get the alerts based on priorities. If you choose to not receive calls during you play games, you device won’t show call alerts when you’re playing a game. The Android Lollipop has introduced a new runtime architecture named ART; which replaces the previous Dalvik architecture. ART is said to be much faster and fluid than Dalvik in file processing and basic operations. Also, ART supports 64-bit operation as well. The NFC chip is now more useful with Android Lollipop. Tap & Go enables you to sync your old android device to the new one just by tapping them back to back. This would simply grab your apps and backup data from Google Play Store to your new device. Every new Android update brings some major and minor upgrades. Since the Android Lollipop is being called Android’s sweetest release; we had our expectations higher. However, Android Lollipop didn’t seem to disappoint us except a few bugs which we expect to be resolved very soon. Author Bio: Evelyn is a hobbyist blogger on science and technology. Latest innovations attract her most and this is the field where she feels most comfortable writing and she writes for essayjedi.com.